You may have a global tab that opens when USD loads, if this tab is important you may want to force it to always be present. Within a session on accounts (for example) you might want to prevent the user from closing the tab for the account that the session is based on. Lets assume I want to prevent a global tab called CRM from closing. Hopefully one exists but if it doesn’t you may need to create one. 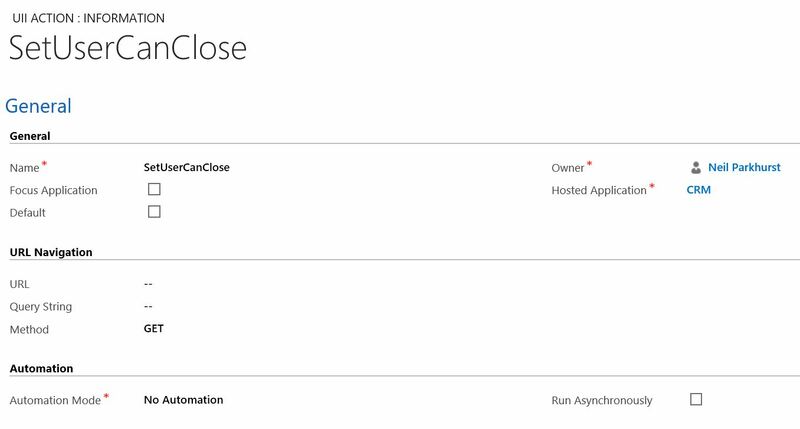 Within the actions area of the Unified Service Desk settings now create an action that will be used to prevent the close. 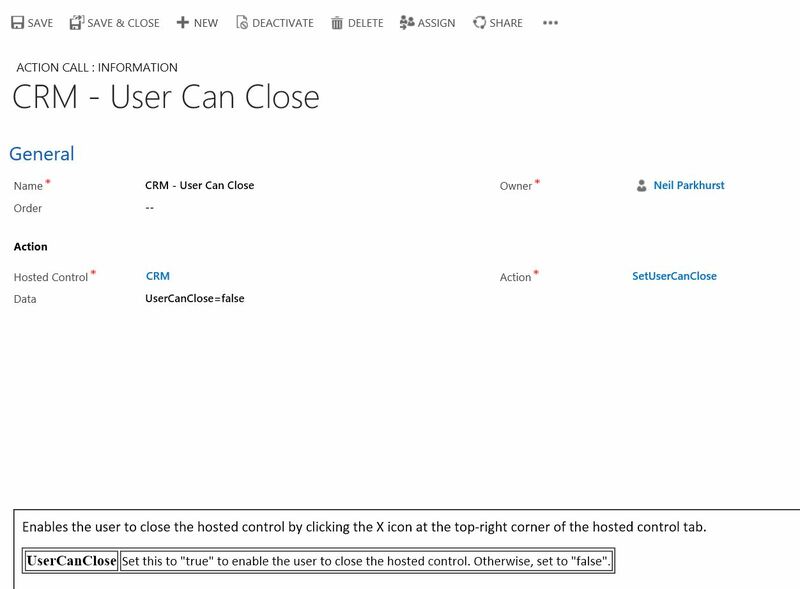 Hosted Control = “CRM”, this is the name of the hosted control / tab you would like to prevent from closing. Action = “SetUserCanClose”, this will be the action you created in step one. In this example, because we are using a global tab, the action must be added to the global container hosted control. Achieved by adding the action into the DesktopReady event of the global container. Note: If the hosted control is a session based control the action will need to be added to the windows navigation rule used to open the session. USD – Expand / Collapse Panels.